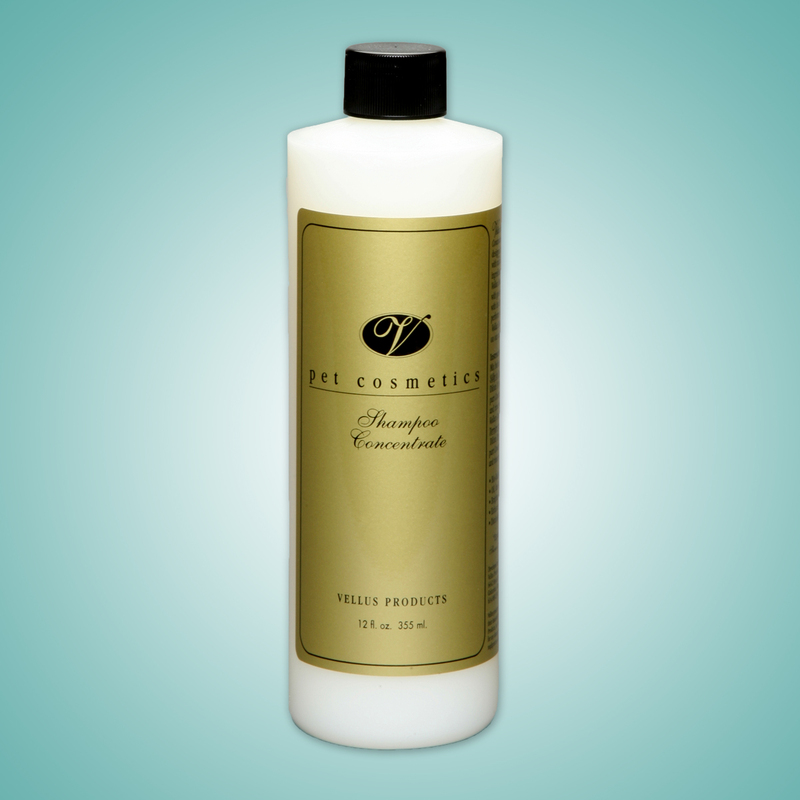 Vellus Conditioner strengthens hair, provides shine and static control and helps maintain a tangle free coat. 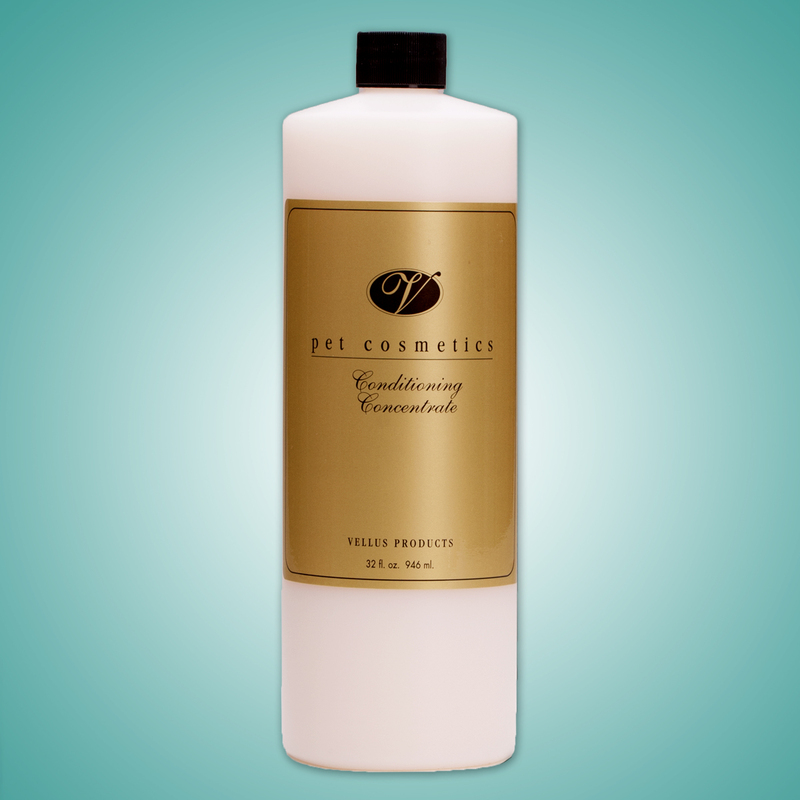 Vellus Conditioner strengthens hair, helps maintain a tangle free coat and provides shine, static control and health to the hair. The dilution ratio of the Vellus Show Conditioner makes it possible to provide the proper coat texture for all breeds. 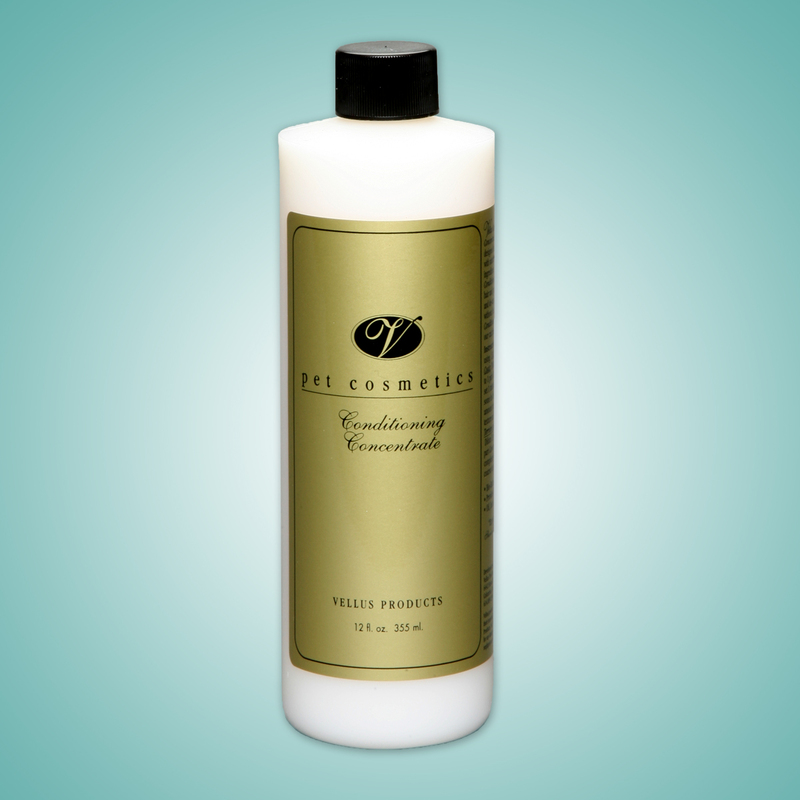 Silky to smooth coats, dilute 14 parts water to 1 part concentrate. 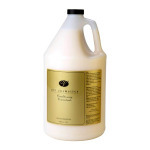 Coarse and wire coats, dilute 24 parts water to 1 part concentrate. Rinse well leaving a little in the hair for performance. 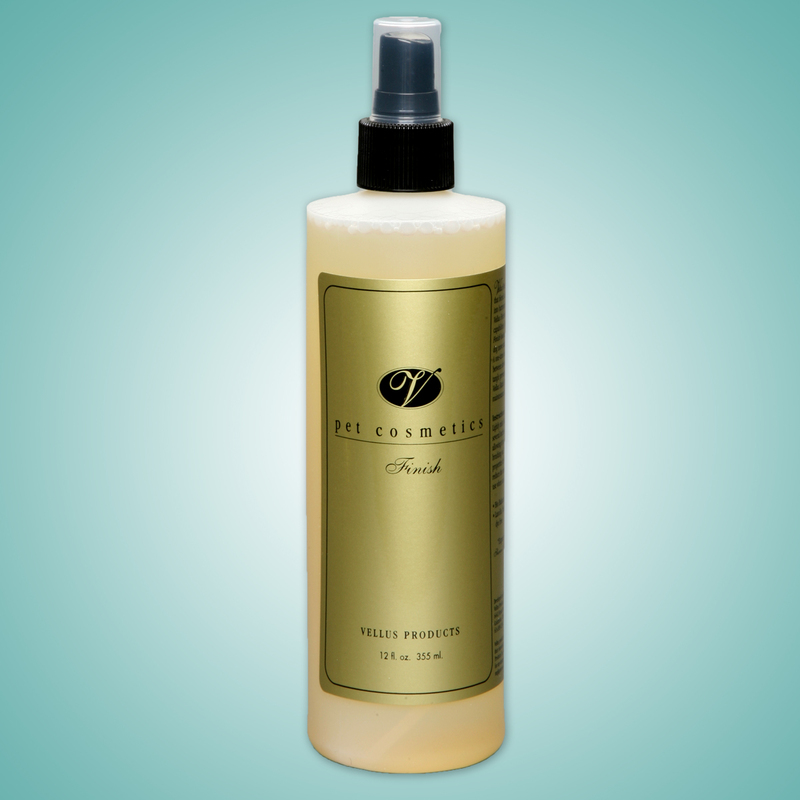 Oil and lanolin free. Be the first to review “Vellus Show Conditioning Concentrate” Click here to cancel reply.